Worried about the odd grey hair that has started appearing on your head? Rather than resorting to chemical hair coloring, it is always better to try and use shampoos made of natural ingredients that help pigment the hair with a deep color. There are many shampoos available in India which have natural pigments like henna and shikakai that improve the hair texture and prevent grey hair. Let’s take a look at the best shampoos for grey hair available in India. 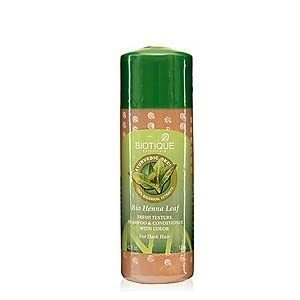 The Biotique Bio Henna Shampoo has a rich brown color that comes from the Henna present in it. It provides the richest of brown tones to the hair and prevents premature greying. It smooths hair texture and increases the volume and shine in the hair. It is priced at Rs. 159 for 210 ml. The shampoo is rich in Henna, tulsi, shikakai and neem. It prevents greying of hair and also scalp infections. The tulsi and henna provide a rich gloss to your hair. Henna and shikakai help in deep conditioning the hair and providing it shine. The herbal ingredients activate the roots and help induce hair growth. It is priced at Rs. 115 for 210 ml. The Tvam herbal shampoo is formulated with Henna, amla, shikakai, licorice, bhringraj and aloe vera. It nourishes the scalp and the hair from root to tip. The licorice and henna help deepen the color of your hair and prevent premature greying. The shampoo helps repair hair follicles and promotes hair growth. It is priced at Rs. 922 for 200 ml. With black and green tea extracts and wild lime juice, this shampoo helps in preventing hair fall, greying and excessive oiliness in the scalp. The shampoo volumizes the hair, adds bounce and gloss to it. What’s more, the natural ingredients in the shampoo leave your hair smelling great too! It is priced at Rs. 345 for 150 ml. The Jovees Henna and Ginseng Shampoo is mildly cleansing. It removes excess oil from the scalp and improves the color and texture of the hair. Regular use protects the hair from greying. It is suitable for all hair types and especially works to control hair fall. It is priced at Rs. 95 for 110 ml. 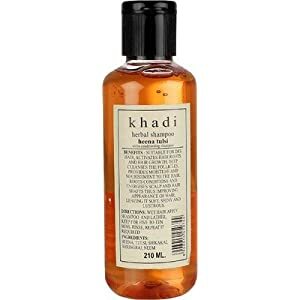 The shampoo comes with amla that works as a natural cleanser. Use it regularly to get scalp that is clean. Bhringraj and amla is a potent combination that helps in preventing the greying of hair. 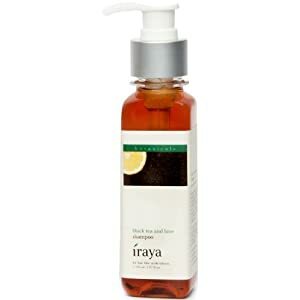 The shampoo also has shikakai and reetha that help work up a rich lather. The almond oil in the shampoo gives the hair luster and shine. Use it regularly for hair that is free from greys. It is priced at Rs. 115 for 210 ml. The rejuvenating shampoo from Prakriti Herbals comes with amla, shikakai and hibiscus extracts. It suits normal to oily hair. It protects and improves the color of the hair and prevents greying. Not just that, it also prevents the hair from dandruff and oiliness. It is priced at Rs. 200 for 120 ml.